Some use GIS to serve their citizens; others use the technology to turn a profit or manifest insight from big data. 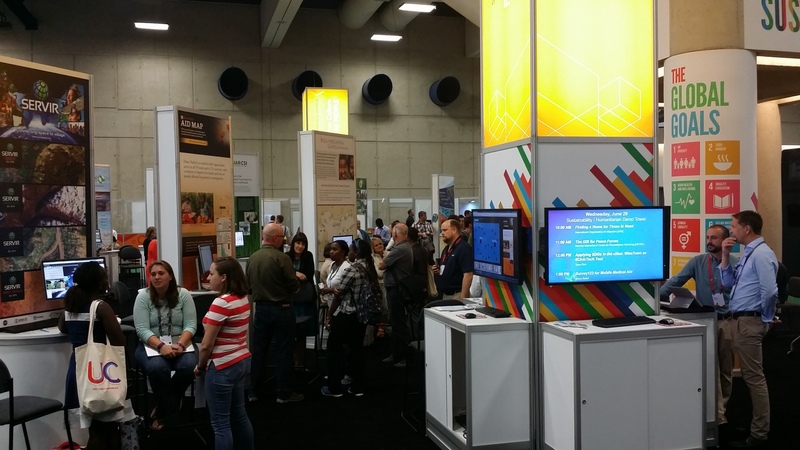 While many uses for GIS can be achieved, it’s possible that none are as noble as the underlying goal of the people exhibiting at the Esri User Conference Sustainable World showcase—sustaining the earth and making the world a better place. 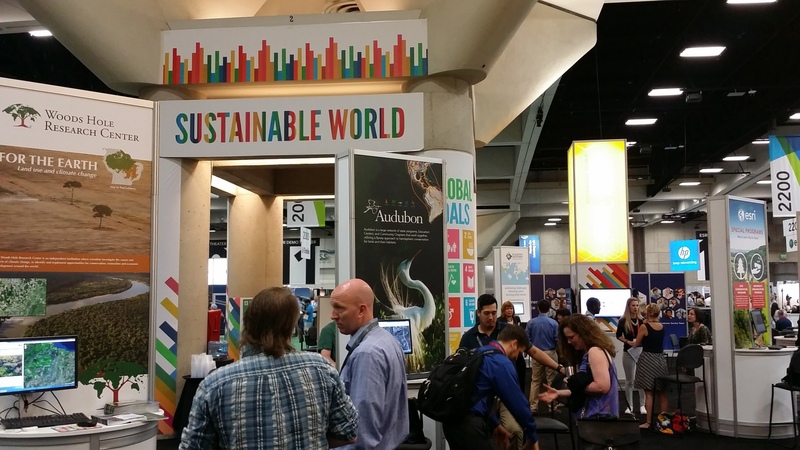 The Esri User Conference Sustainable World showcase gathered likeminded nonprofits such as Woods Hole Research Center and the National Audubon Society to share how they are using GIS to change the world for the better. United through the purpose of the Global Goals, the nonprofit organizations present at the showcase networked with colleagues to talk about common goals and collaborate toward achieving positive change. Goals discussed included eliminating poverty and hunger; advancing good health, quality education, and gender equality; securing clean water, decent employment, and reduced inequalities; promoting responsible consumption, industrial production, and climate action; protection of life in oceans and on land; and establishing peace and justice for all. 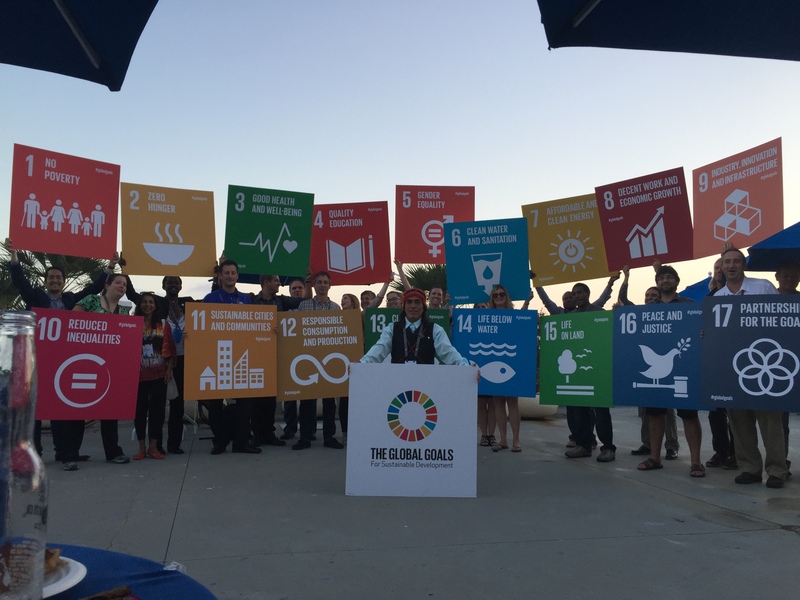 These sentiments were reinforced at the Sustainable World Community social where more than 250 individuals from international administrations, the United Nations, conservation groups, and humanitarian organizations congregated to celebrate the positive impacts of their growing contingency. 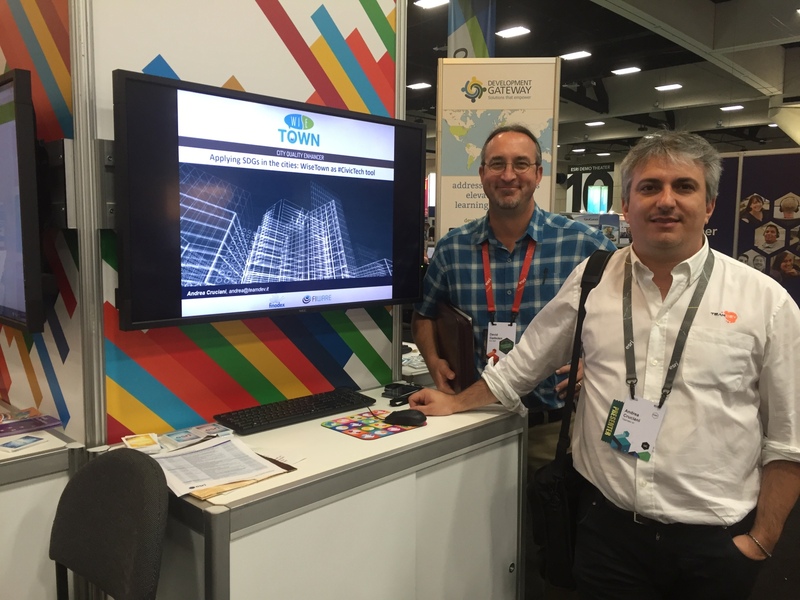 The lively showing took place at the San Diego Convention Center’s upper west terrace and featured prominent attendees including Domingo Ankuash, recipient of Esri’s Making a Difference award. Ankuash uses GIS to drive meaningful change with the seven Amazonian tribes he leads. Esri’s Making a Difference award recipient Domingo Ankuash presented the Global Goals for sustainable development at the Sustainable World Community social. Organizations similar to Ankuash’s AmazonGISNET employ several innovative means to communicate their missions, including Esri Story Maps. Groups such as National Geographic, the National Trust for History Preservation, the Puente Institute, the Nature Conservancy, the World Wildlife Foundation, and the National Audubon Society employ Story Maps to convey the goals and progress of their programs through maps, rich media, and powerful narrative. Aptly, the common theme throughout the Sustainable World showcase were stories of each organization’s successes in sustainability and accomplishing positive impacts. HALO Trust works to clear unexploded ordnances around the world by training and employing thousands of regional deminers, saving lives and supporting the local economy in the process. The Bill and Melinda Gates Foundation uses geospatial information to assess difficult parts of the world to reach, ensuring their resources provide opportunity for less fortunate individuals to pursue happy, healthy, and productive lives. TeamDEV s.r.l. chief executive officer Andrea Cruciani and Esri nonprofit sector lead David Gadsden discuss the role of GIS in achieving the Global Goals. Through their focus of sustaining ape habitats in the Congo forest basin and East Africa, which positively impact the livelihoods of thousands of species that might otherwise be subject to deforestation, the Jane Goodall Institute also manages a youth program in more than 100 countries which uses GIS to identify environmental community projects. The Woods Hole Research Center, whose Cape Cod, Massachusetts headquarters were constructed with ecofriendly and recycled materials, relies on geospatial visualization to convey research dedicated to smart land use; the reduction of deforestation; the impacts of permafrost melt; and the environmental factors for increasing boreal forest fire turnover. Esri and partners expand the Sustainable World Community one individual at a time. Organizations such as these comprised the Sustainable World Community at the Esri User Conference and were joined by many others who look to leave the world in a better place than they found it. Learn more about how organizations are using GIS to enhance sustainability by visiting esriurl.com/SustainableDevelopment.